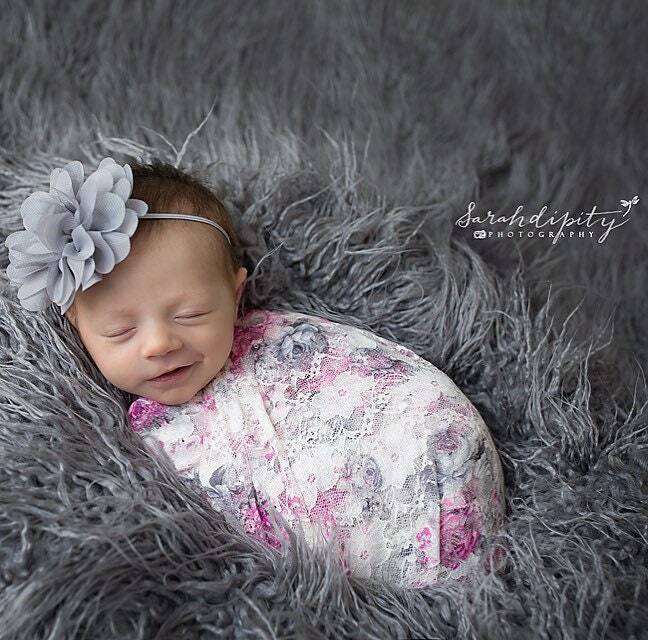 Stretch Lace Wrap in Pink and Grey Floral Print AND/OR Grey 4 inch Chiffon Flower headband, newborn swaddle, newborn photo shoots, newborn wrap set, by Lil Miss Sweet Pea. Headbands are made with our soft stretch 1/8 inch elastic for a comfortable fit. Wrap measures 16 X 58 inches. 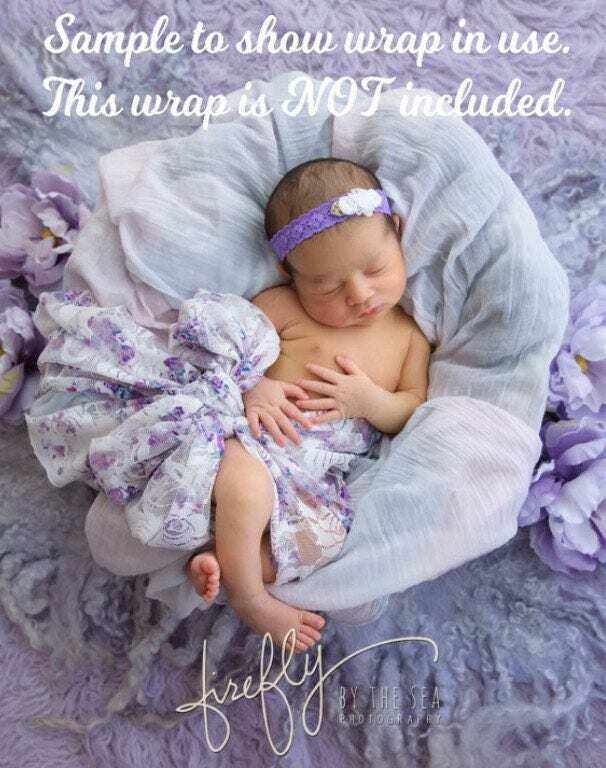 Newborn headband in the set measures 13 inches and the flower is approximately 1.5 inches. I came back to this shop to purchase a second lace wrap, in a different color, for my second born daughter. (I first purchased in 2016). I love the color, quality of the wrap and a headband/now I added on. The customer service is AMAZING. I mentioned that I would love to find a pink bow to match the wrap (I didn’t love the gray option) and Gail went above and beyond to find the most perfect pink bow. She sent photos straight from a fresh photo shoot, sent photos with the wrap I ordered, gave me options and is just a genuinely nice and kind person. I will definitely be back to purchase more and I highly recommend this shop to everyone!